Many fine books have been published on Russia this year. But one of them kept me turning the pages more quickly than the others, and not from a dutiful need to get to the end. Which one was it? It was a ‘civilization’ book with a political edge. There might be two reasons to study Russia: to prove a point, or to indulge a fascination for the civilization on the other edge of Europe. Nowadays, proving a point probably amounts to saying something unflattering about the relationship between ‘Russia and Democracy’, or ‘Russia and the West’. Forty years ago, it was much more likely to be about class, revolution, and Marxism, when a previous generation of historians both in the Soviet Union and elsewhere wrote distinguished histories of the working class in late imperial and revolutionary Russia (see a previous post for more on this). Some of these scholars reconstructed Russian working-class life because they were interested in Russian working-class people, but their impeccable history was more often driven by political urgency. If Russia-watchers — historians or others — are not trying to make a point, they are probably seeking to communicate the results of their long-standing engagement with Russian civilization. Only rarely, however, will this take them in the direction of the working class. It usually takes them instead to the intelligentsia and the peasantry, to novels, religion, and tradition, and less often to factories, male sociability, and urban support networks. But this is the territory that Jeremy Morris has taken over in his ethnography of contemporary workers’ lives, Everyday Post-Socialism. Fans of Morris’s blog and recent academic articles will take great pleasure in this book, perhaps the most enjoyable 250 pages to be published on Russia this year. Morris has a political view, but his book does not set out to prove a point. Instead, it studies the contemporary Russian working class on its own terms: it is a book about Russian civilization. He introduces us to the landscape of Izluchino, a township in Kaluga Region. Formerly dominated by just one Soviet enterprise, it has diversified since 1991, its economy consisting now of various ‘inheritor’ firms in related branches of industry. The book describes the lives of the workers who inhabit this place, their working practices, leisure, domesticity, migration, differences of generation and gender. Above all, it reveals a counter-intuitive truth in a ‘neoliberal’ age. It shows how manual work has continued to mould these post-Soviet people’s identities, provide consolation, and allow them to survive during the terribly difficult time of change since 1991. 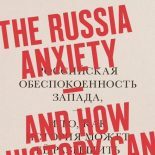 In bringing this world to life — where hobbies, work, sociability and networking underpin working-class survival, in ways that, for instance, bear fascinating comparison to the writings of Ross McKibbin on early twentieth-century Britain — Morris has unearthed a whole layer of Russian civilization. And the sympathetic and often humorous encounters that result make for humane writing and compelling reading. The publisher has priced it for libraries only, but do read it if you can. This entry was posted on December 22, 2017 by beyondthekremlin in Russia past and present and tagged gender, housing, Russia today, urban history.